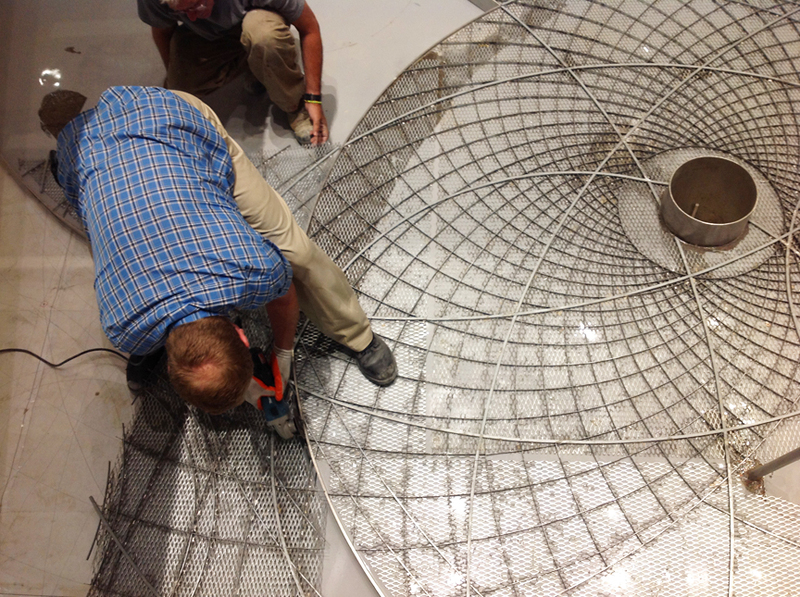 Fabrication has begun on the pendulum project for Augustana University. 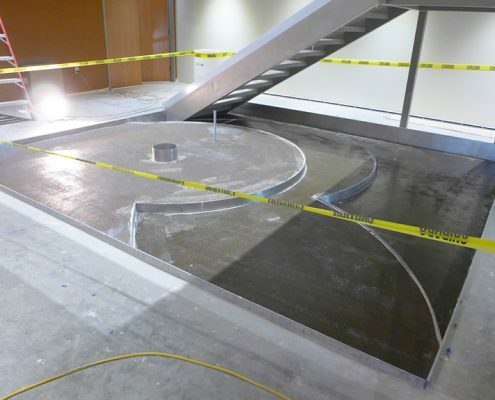 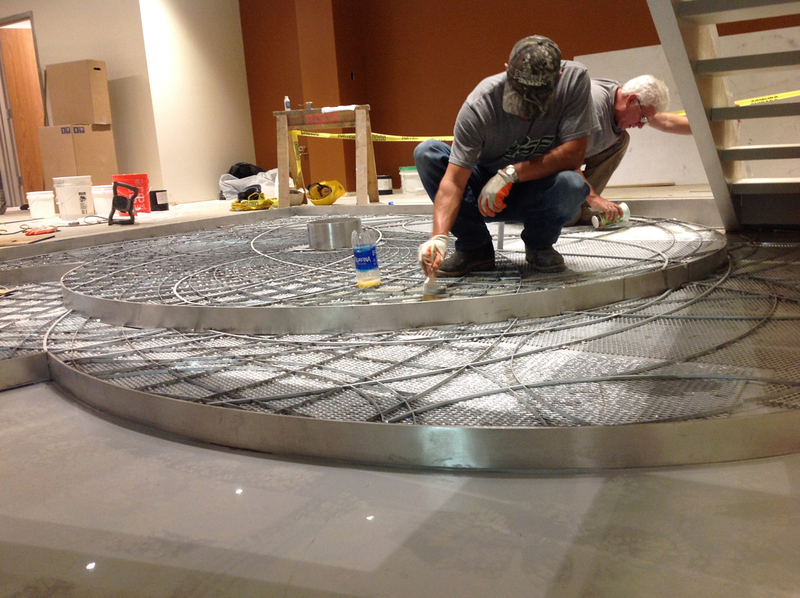 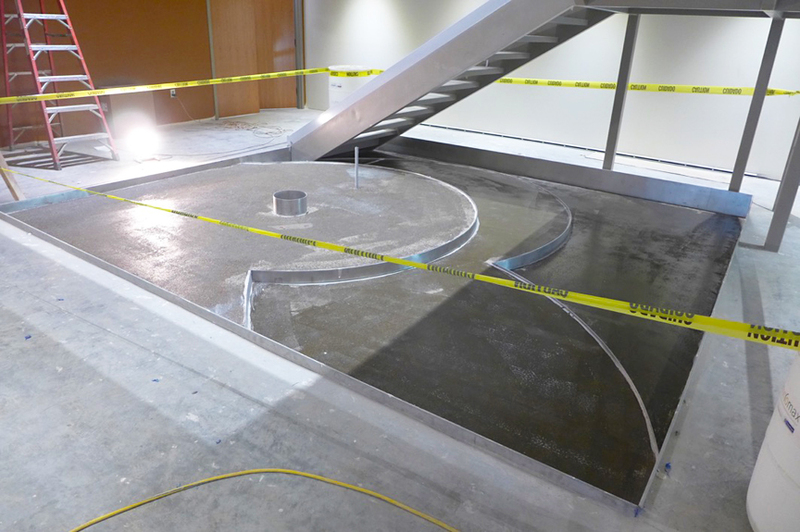 Located in Sioux Falls, South Dakota, the University will house this new Foucault pendulum inside the Froiland Science Complex. 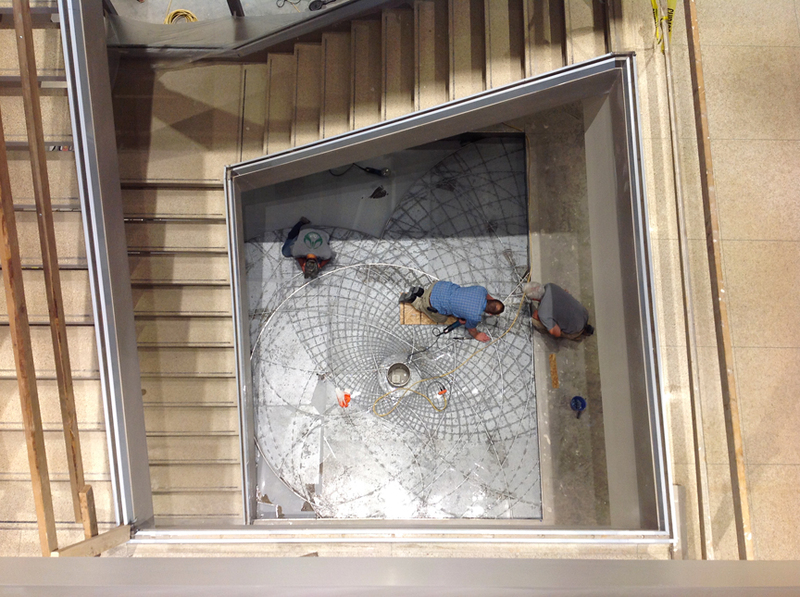 Tucked into a three story stairwell, the pendulum features a multi-level, 16-color terrazzo floor inside the pendulum pit. 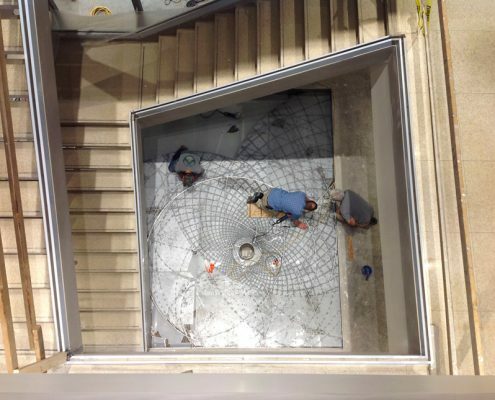 Inspired by the orbits of both atoms and planets, the floor includes dozens of embedded LED lights that will twinkle like distant stars. 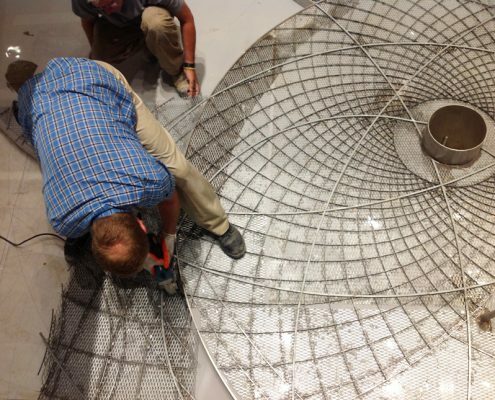 The project is a collaboration with artist Scott Parsons.